Expat Exchange member, nuska, who lives in Greece shares her experiences with expat health insurance and medical services in Paros. Expats living in Greece interested in expat health insurance should take a minute to get a quote from our trusted expat health insurance partner, CIGNA. 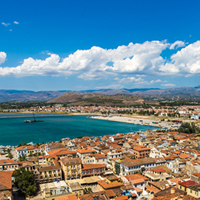 Get a quote for expat health insurance in Greece from our partner, Cigna Global Health. An expat on Paros Island in Greece offers insight about the quality and availability of healthcare on an island in Greece. Expats should be aware that there are no true hospitals on Paros Island. An expat from the United Kingdom offers her insight into the health care system on the island of Paros in Greece. Information shared includes how it compares to the UK, pharmacies, cost and more. Help others moving to Greece by answering a set of questions about health insurance, public healthcare in Greece, prescription medicine, quality of medical care and emergency services. Read recent baby reports submitted for Athens and Athens.